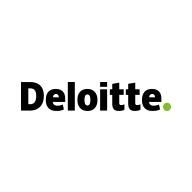 Deloitte works alongside clients throughout the project continuum to help our clients address quality of care, access and cost concerns. We help our clients from assessment through implementation to create an infrastructure that enables sustainable, ongoing improvement in an uncertain time of regulatory reform. Our teams include professionals who have experience leading hospitals and health care systems in realizing significant savings while transforming the way patient care is delivered. They also include professionals with shared service experience, clinical informatics experience and care management experience which not only includes acute care but ambulatory and health plan. We incorporate leading practice methodologies, tools and training that helps make operational change sustainable. Lead teams to assess, design, and implement solutions to achieve client’s strategic objectives and business issues.